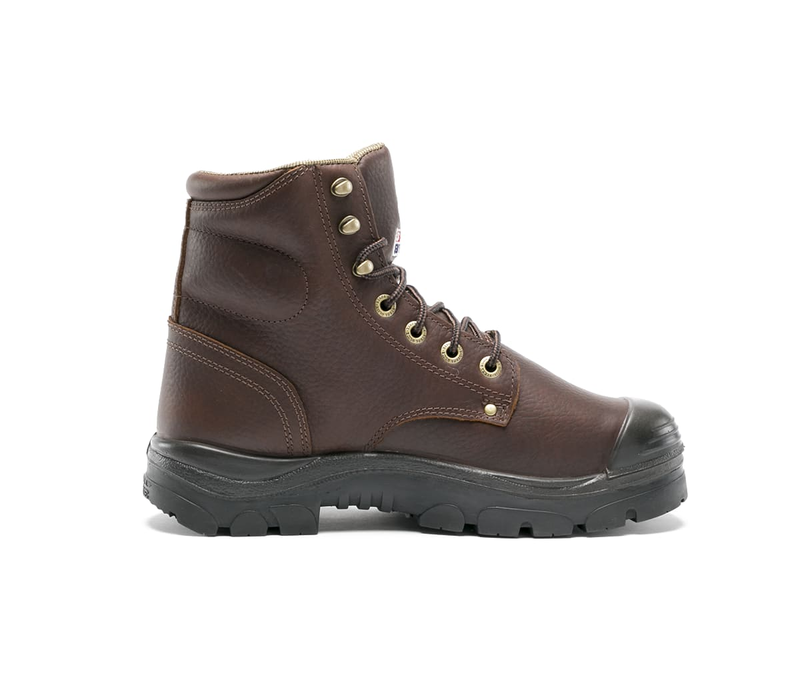 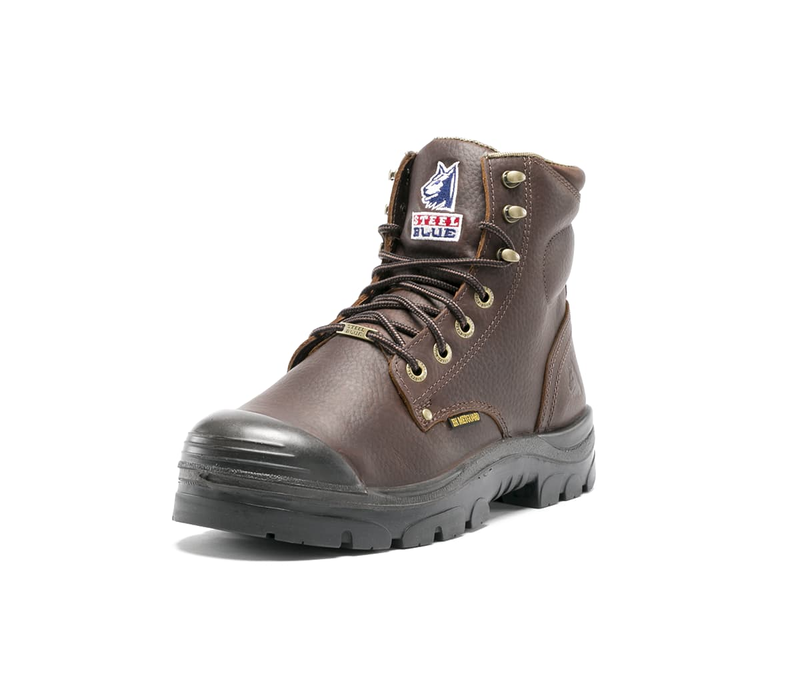 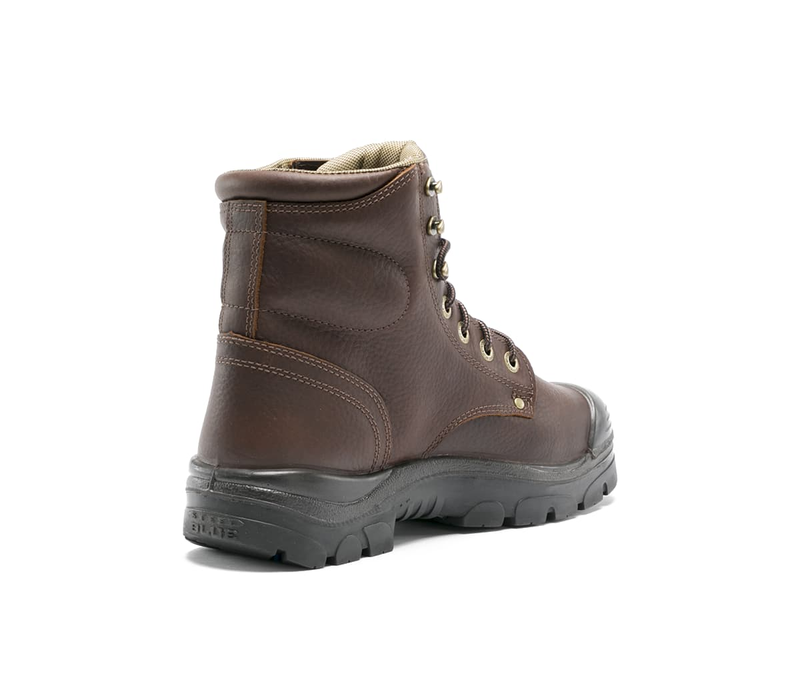 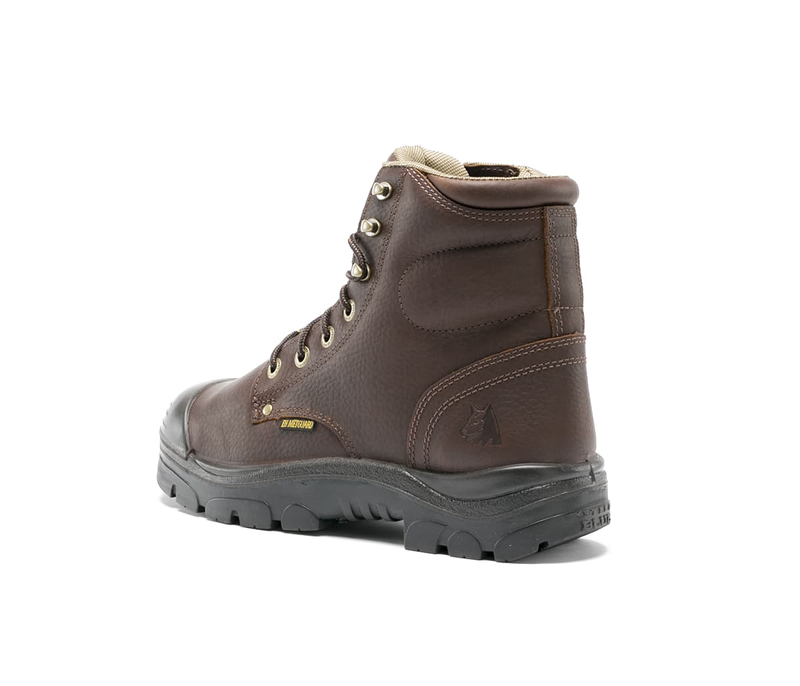 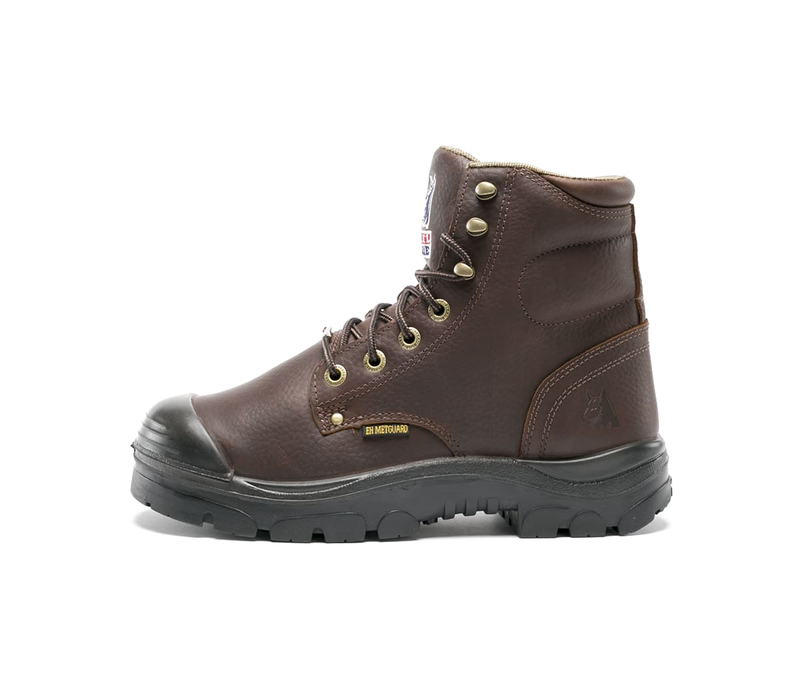 The Argyle-Met Bump Cap is a 6-inch Men’s lace-up Ankle Boot with Metguard, padded collar and tongue. 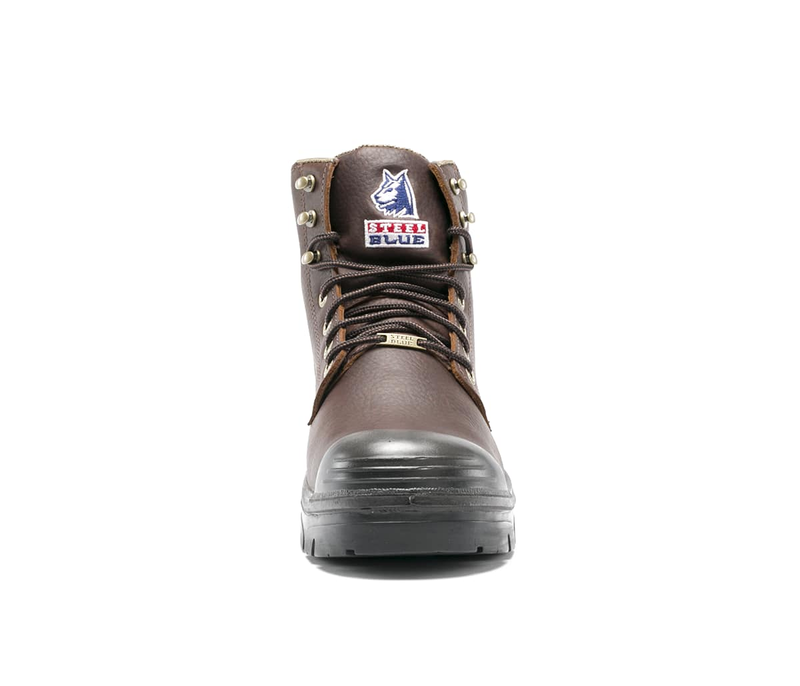 Crafted from Oak colored premium full-grain Cowhide Leather, the Argyle-Met Bump Cap is a popular 100% comfortable choice for Contractors, Demolition Crew, Heavy engineering and Scaffolders. 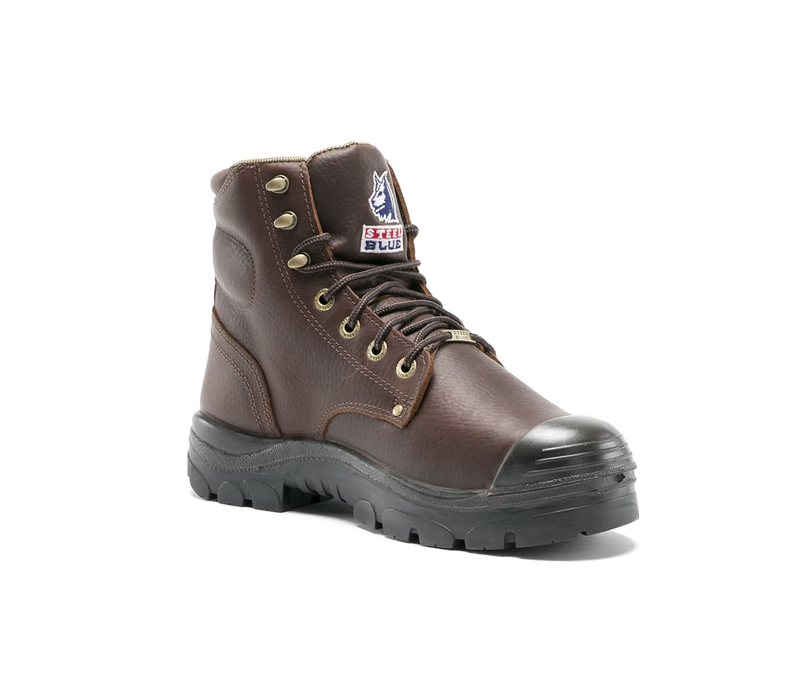 This Water Resistant style features a Bump Cap that covers the toe area to increase longevity of the premium Leather. 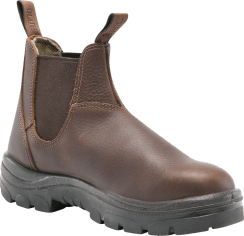 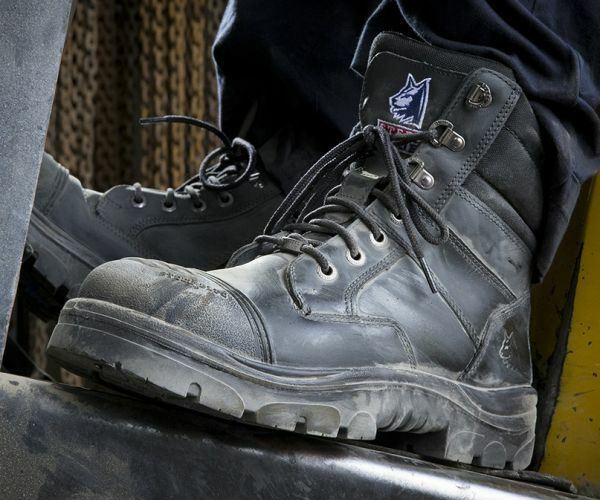 The Argyle-Met Bump Cap combines a 200 Joule safety Steel Toe Cap (ErgoDefender™) and internal polyurethane Metatarsal Guard, rated to 100 joules of force. 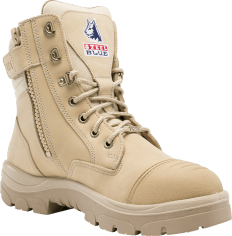 The tough TPU Outsole is heat resistant to 266ºF, includes Electrical Hazard and Slip Resistant properties, and performs well on below freezing conditions. 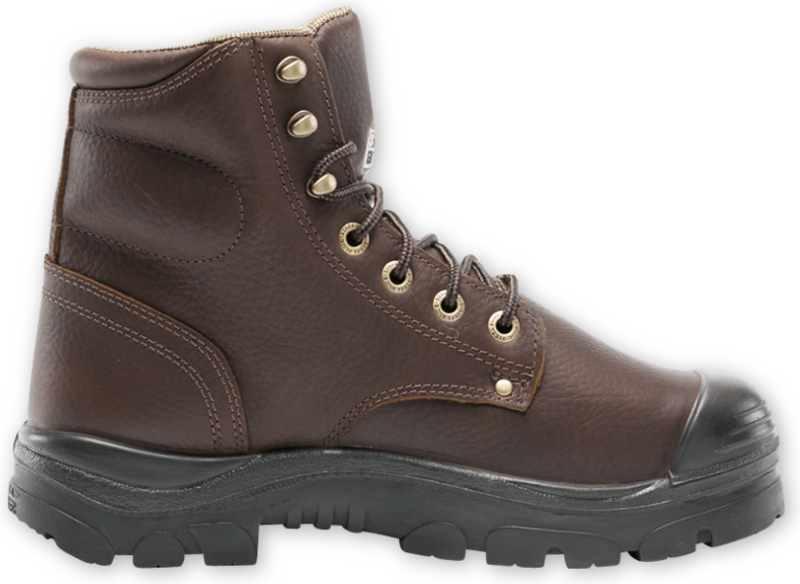 Available in Medium (M) and Wide (W) fit options. 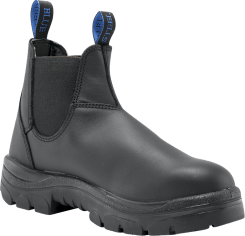 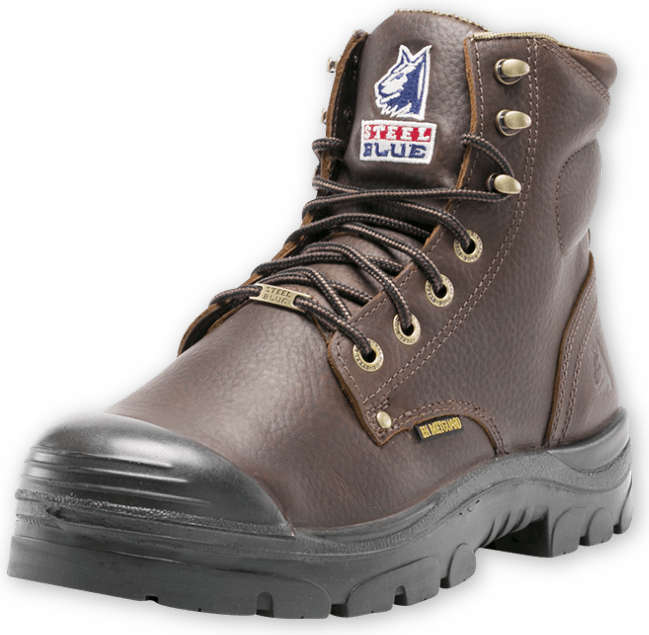 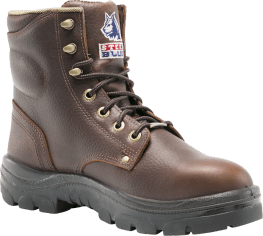 Steel Blue Argyle-Met Bump Cap Boots are independently certified to major international safety standards and the American Standard ASTM F2413-11. 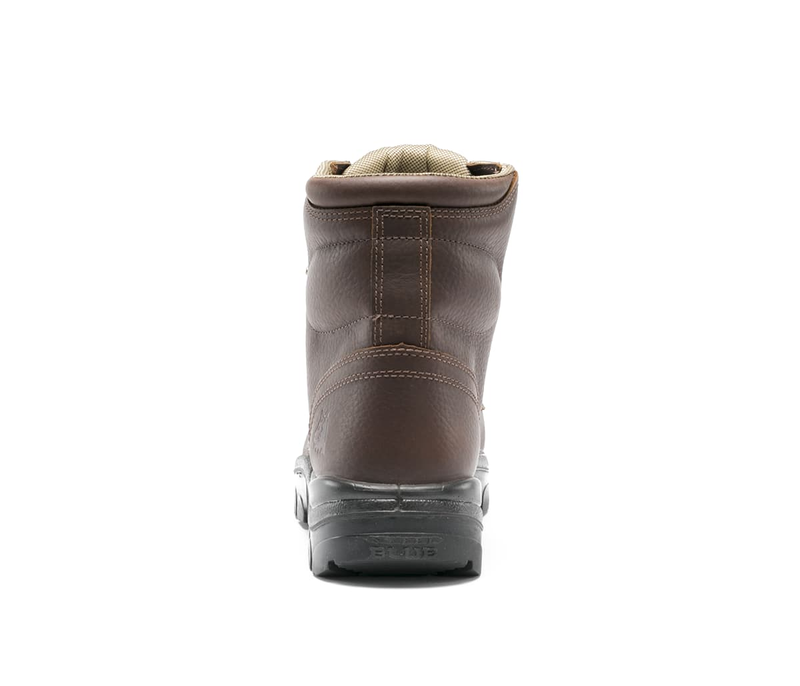 Steel Blue’s Met-Guard offers composite plated protection for your foot’s metatarsal area.